Extension of date for filing form-26, 26A & 26B. New Procedure for movement of Goods in the State of UP. In Relation to fixation of Deemed Tax from 2009-2010 and onwards. Grid connected roof top solar G.O. 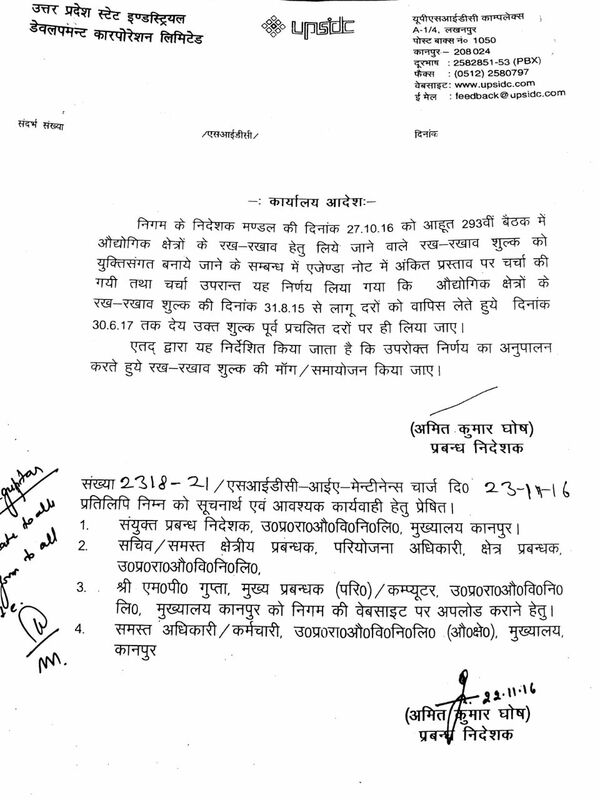 Rules /Orders related to Saw Mills & Veneer / Plywood Units in U.P. Regd. Purchase preference to be given to micro & small industries under quantity contract for purchasing of government materials. Regd. Purchase preference to be given to micro & small industries under rate contract for purchasing of government materials. Implementation of centralized system of Rate Contract at Industries and Directorate of Industries, UP level. Public Procurement (Preference of Make In India), Order-2017.